Lincoln delivers plenty of value to the market with a wide array of products constructed with strong architectural characteristics. Mortise and tenon joinery combined with a great deal of wood enhances both our exterior and interior aesthetics making Lincoln windows incredibly desirable. Offering several exterior options including limitless colors, countless sizes and shapes is our niche. We select superior components, starting with first-rate wood, for frame and sash members which truly creates stunning interiors. All Lincoln windows utilize double-strength glass and contemporary hardware choices for an energy efficient and attractive window package. 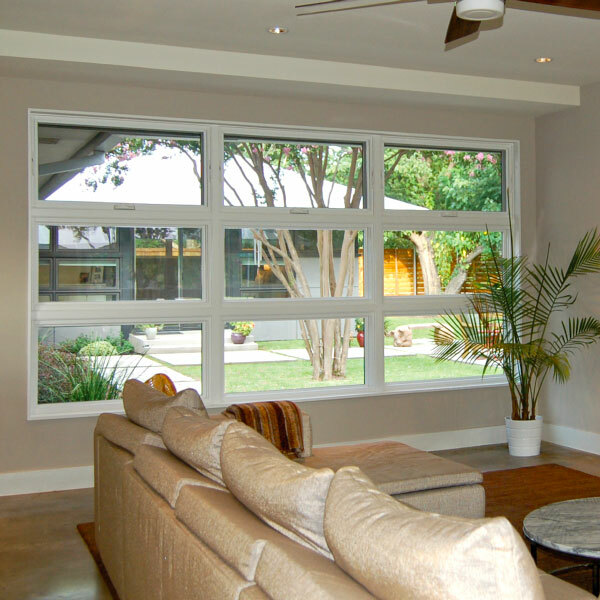 Our full line of windows has an impressive list of quality options that are sure to satisfy. The Lincoln crank-out casement is a versatile design with exceptional architectural appeal, performance and strength built in. Available in many combinations of types and sizes, our casement line delivers outstanding value without sacrificing or limiting product options. Stylish Truth brand operators function smoothly while opening the sash to a full 90° for maximum ventilation. Single-lever multipoint sash locks pull tight to a full perimeter weatherstrip for security against the elements. Heavy frames and sash components are standard. 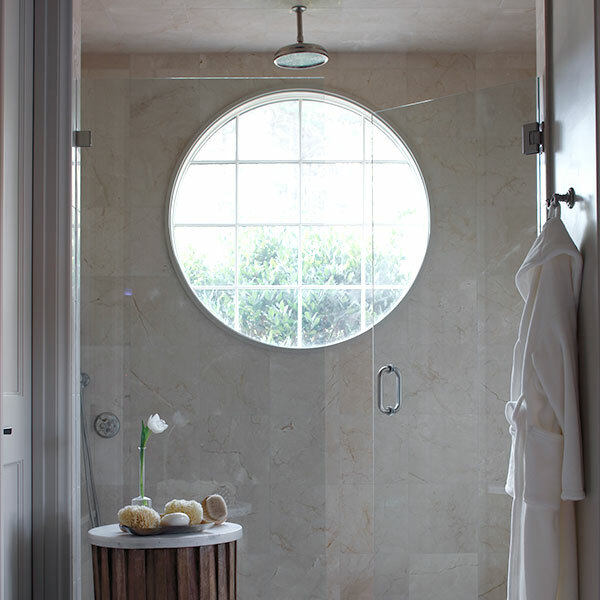 These windows are beautiful inside and out. The sash swings open with a simple turn of the handle, while the friction hinges keep it firmly in place whether fully or partially opened. Traditional hinged screens add a historical touch-of-class and feature a color matched knob. Or, choose a retractable screen that rolls up when not needed, leaving a clear view of the outdoors. 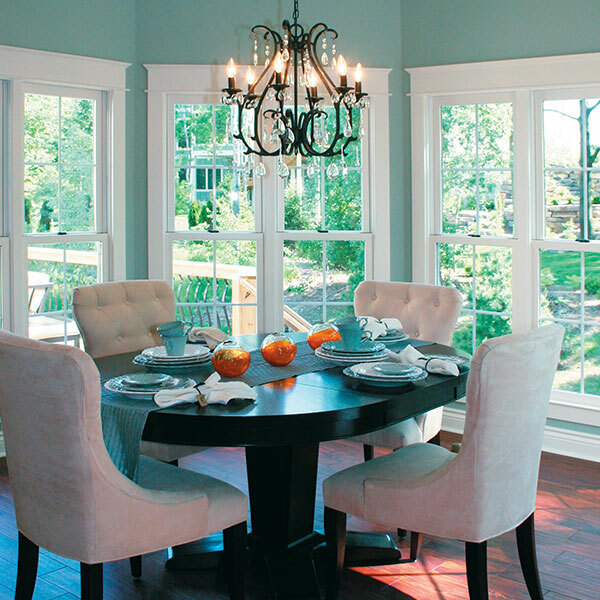 Lincoln casements with a radius design element are sure to add elegance and charm to any building project. Segment head casements and our traditional casements have matching sightlines so they can cosmetically complement each other. Segment head operating windows combined with stationary units and studio picture windows create many design options. Exterior (outboard) hinges allow for easy operation. Radius interior trim is available for the finishing touch. 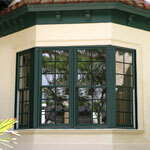 Continental flavor is apparent in French casement windows – one window – two sash – one opening. 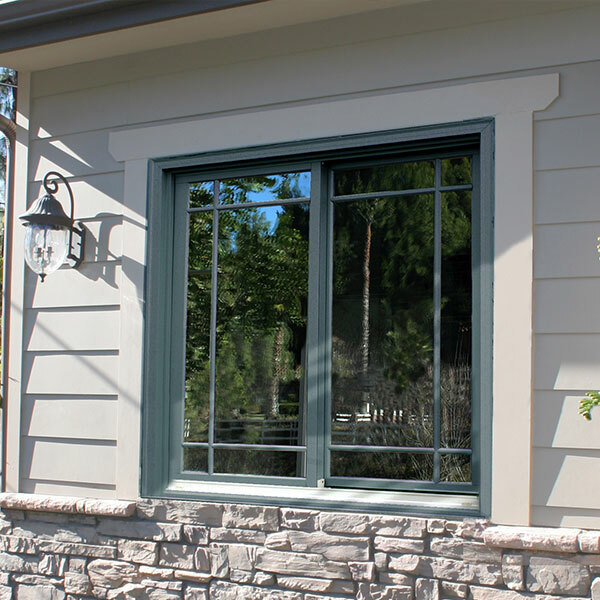 French casements are available in standard twin casement width for vertical sight line presentations when used in combination with standard casement windows.